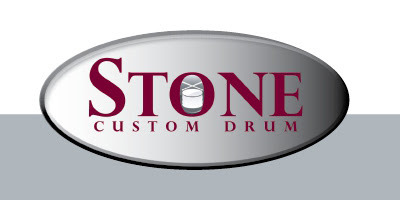 Stone Custom Drum was founded in 2005 by drummer Bernie Stone, who purchased the former Slingerland drum equipment and refurbished it to today’s standards. For 25 years prior to purchasing the equipment, Stone had been an independent drum craftsman, building everything from Civil War re-enactment drums to complete “one-off” custom drums. Stone Custom Drum is a NAMM member. Bernie Stone “the man that makes the drums” was born in Columbus, Ohio, in 1962. He started taking drum lessons at the age of 11, which he did for one and one-half years. At age 12, he began playing country and western gigs in Columbus bars with his grandfather. At the Park Street Middle School in Grove City, Ohio, he played in the symphonic and jazz bands, and at Grove City High School, he was in the marching band during grades 9 and 10. Also while in high school, he joined friends in the band Mercury, playing at school dances, fairs and other local events. At age 17, while a senior in high school, he joined Stormwind, a road band for which he skipped school to travel to various gigs; he was in this band for two years. After his stint with Stormwind, Bernie became band-less at the age of 20, and did freelance work with various bands. From 1980 to 1982, he began fixing up old drums on his own and occasionally brought them to The Percussion Center in Fort Wayne. Percussion Center owner Neal Graham would give in-store trades for his refurbished drums, and that was his first professional experience with restoring drums. From 1982 to 1984, he worked at the Columbus Percussion Center (now known as Columbus Pro Percussion), where he worked with store owner Jim Rupp, a notable jazz musician who occasionally played drums for Tony Bennett. During this time Bernie also worked with Bob Breithaupt, a music and percussion professor who is now Department Chair of Performance at Capital University in Columbus; Philip Shipley, who later became the principal percussionist for the Columbus Symphony Orchestra; and the legendary drum corps instructor Ray Weiner, who was with the Garfield Cadets and the Slingerland Drum Company. In 1984, Neal Graham from The Percussion Center in Fort Wayne, at the recommendation of Ray Weiner, encouraged Bernie (who was age 22 at the time) to come to Fort Wayne to be his primary drum shop technician. 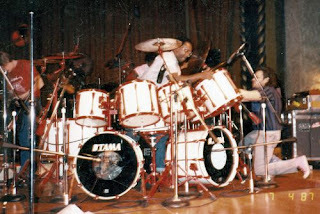 During his tenure with The Percussion Center, which lasted until 1989, Bernie was exposed to various high-profile projects and had the opportunity to build tour kits for well-known groups and musicians such as Rush, 38 Special, Dokken, KISS, Bill Cobham and two tours of John Mellencamp. 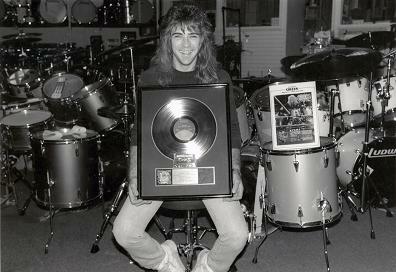 (One of the highlights of this career came in 1988, when he was presented with a platinum album celebrating 1 million copies sold of the Dokken’s album Back for the Attack. The award was sent to Bernie in appreciation for his customizing Wild Mick Brown’s Monsters of Rock drum kit – a five-piece Tama he painted in a custom finish that Bernie called Brilliant Ruby Metallic). 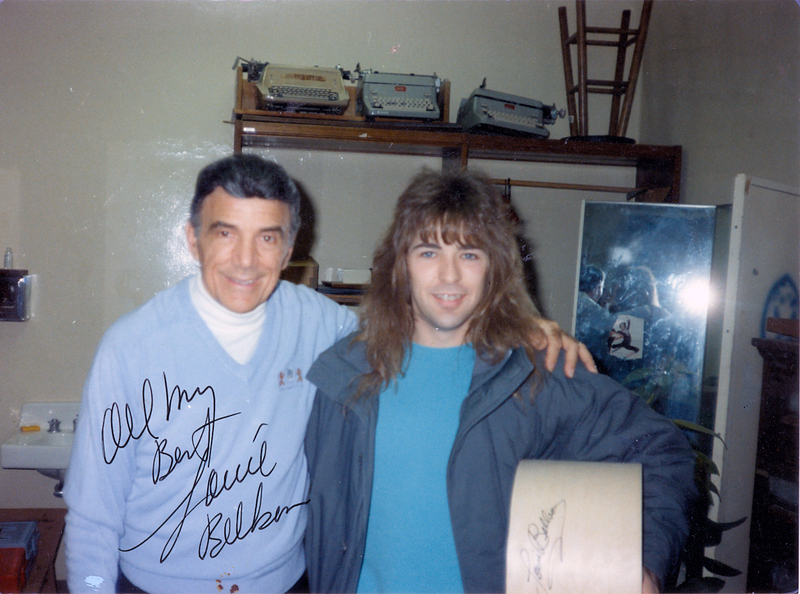 While working at The Percussion Center, Bernie was also an active musician. He was a freelance musician from 1984 to 1994, playing with the group Not My Kids six nights a week, in addition to being in a live band one night a week for the taping of Kevin Ferguson’s Night Shift TV show and playing for a group from Decatur (Indiana) called Threat. Spike and the Bulldogs – In 1994, Bernie became the drummer for Spike and the Bulldogs, a popular regional band that plays rock and roll music from the 1955 through 1966 era, mainly to sold-out audiences in the tri-state area of Northeast Indiana, Northwest Ohio and Southwest Michigan. The band is Whatz Up magazine’s nine-time Whammy award winner for Best Oldies Performers. Over the years, Bernie and the band have performed with such artists as the Beach Boys, Chubby Checker, Herman’s Hermits, and Mike Smith of the Dave Clark Five. The band has also been a featured performer on 16 cruises throughout the Caribbean and Mexican Riviera. Starting in 1989, in addition to performing as a drummer, Bernie has also been an independent drum craftsman, building everything from Civil War re-enactment drums to complete “one-off” custom drums. In December 2003, to further work toward fulfilling his dreams as a drum craftsman, Bernie bought the old equipment that was used to make Slingerland drums on eBay, driving all the way from northern Indiana to the Gretsch drum factory in Ridgeland, South Carolina, to pick up the equipment. After countless Internet research, he found out that the schematics for the Slingerland equipment had been destroyed in a fire, so he and friend James Hollis (an electrical engineer who had retired from Dana Corporation) went through every electrical component on the Slingerland equipment and did reverse engineering to make the equipment functional. After making safety modifications, Bernie finally became able to produce drum shells with the equipment. 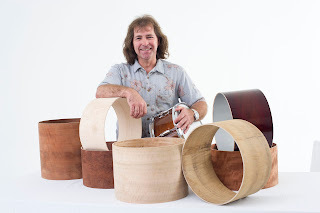 He can either make drum shells that are exactly like those produced by Slingerland, or he can manufacture drum shells using exotic woods and the custom specifications of his individual clients. For the past five years, Bernie has been operating his sole-proprietorship business out of a building at the old Fort Wayne headquarters of International Harvester, located at 2701 South Coliseum Boulevard, Fort Wayne, Indiana. During the day, he has also been working in a part-time position to help supplement the income from his playing career and drum-building enterprise. In November 2010, Bernie began working to grow his business with assistance from the Northeast Indiana Small Business Development Center. In 2011, he turned his business into an LLC – a limited liability company – with the name of Stone Custom Drum, LLC. He has obtained financing to expand his business and plans to be in full production for manufacturing custom drums starting in January 2012. “I’ve experienced a lot of cool things and met a lot of legendary artists, not only as a musician, but as a drum craftsman,” he reminisces. “Drums are my life, and they’ve been very good to me.” Bernie hopes to have many more good years to continue sharing his passion with the world.